Yesterday Was Halloween, So This Is Topical? I have a long story about the effect the hurricane has had on theaters around the city coming in a little bit. 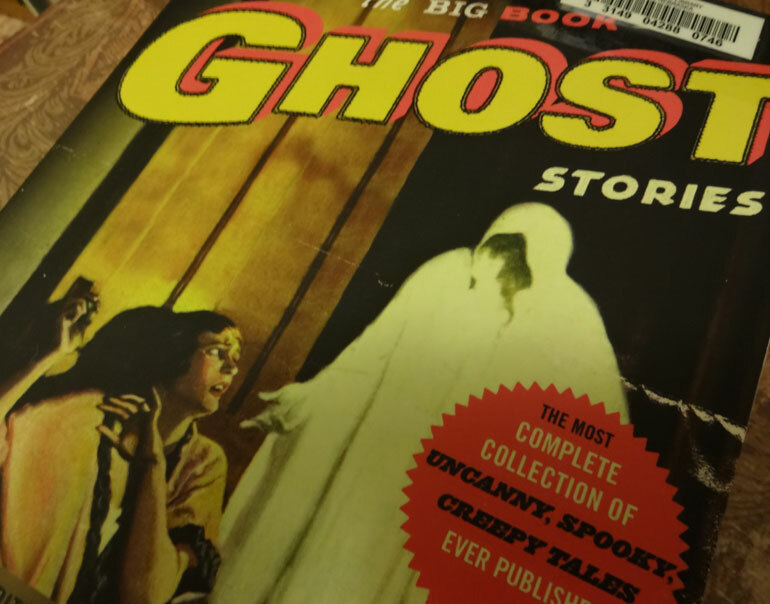 In the meantime, here is this utterly fluffy, not-at-all-topical interview I did with Otto Penzler, asking about The Big Book of Ghosts. Otto Penzler, owner of The Mysterious Bookshop and all-around pulp fiction buff, is also an accomplished editor. Roughly once a year, he edits a collection of stories for Black Lizard Press. Past volumes include The Black Lizard Big Book of Black Mask Stories, The Big Book of Adventure Stories, and Zombies! Zombies! Zombies. This year, he gives us The Big Book of Ghost Stories, a thousand-page tome packed full of spooks and spectres which is perfect for reading round the campfire—or, for our readers in lower Manhattan, round the flashlight. Bullett emailed Penzler last week to ask him some questions about the genre. When assembling a collection of this length, how do you keep it focused? Is the theme of ghost stories enough to bind it together, or do you need something more? Ghosts, or any of the BIG anthologies I’ve done, is pretty well focused. The book has a huge range, from the Victorian classics to the pulps to the moderns. The one overwhelming element I tried to focus on was that they be readable, well-written, fun (that’s three, but they coelesce into one). I’m a big fan of H.P. Lovecraft’s over-the-top Gothic storytelling. Who are some less well-known authors who wrote in a similar vein? Pulps writers, of which there are many in the book, some of whom are relatively unknown. G.G. Pendarves, Paul Ernst, Henry S. Whiehead, Wyatt Blassingame, Greye La Spina, Henry Rousseau—none of them will ever be accused of being restrained stylistically. There's more. Oh my yes, there's much more. Well, some more anyway. Posted in Books and tagged with Halloween, Otto Penzler, Ghosts, Interviews, Bullett.